ELIGIBILITY: Win a Stay (the “Contest”) is open only to legal residents of fifty (50) United States or the District of Columbia who are twenty-one (21) years of age or older. Employees of the contest sponsors including Beachside Resort in Panama City and Innisfree Hotels, and their respective parent companies, affiliated companies, subsidiaries, sponsors, advertising agencies and third party fulfillment agencies and their respective agents, employees, officers, directors, successors and assigns as well as the immediate family (spouse, parents, siblings, and children) and household members of each such employee are not eligible to enter. The Contest is subject to federal, state, and local laws and regulations and is void where prohibited. SPONSOR: The Contest is sponsored by Innisfree Hotels and Beachside Resort in Panama City Beach. AGREEMENT TO OFFICIAL RULES: Participation in the Contest constitutes entrant’s full and unconditional agreement to and acceptance of these Official Rules and the decisions of the Sponsor, which are final and binding. Winning a prize is contingent upon fulfilling all requirements set forth herein. ENTRY PERIOD: The Contest begins Aug. 1, 2019 (the “Entry Period”) and ends on the last day of each quarter (Dec. 31, Mar. 31, June 30, Sept. 30) . Entries that are submitted before or after the Entry Period will be disqualified. CREATE AND SUBMIT AN ENTRY: Submit Name and Email address to via link provided to be eligible (“Entry”). Eligible Entries will be judged to determine the prize winner. If you enter this contest via Facebook note that personal information is collected by the sponsors of this contest for the purposes of this contest. In entering the contest and agreeing to these terms and conditions you are granting consent for the collection of this information. Your personal information will not be shared with any parties other than the sponsors of the contest. ENTRANT’S WARRANTIES AND REPRESENTATIONS: By submitting an Entry, each entrant warrants and represents that the Entry (a) is original to the entrant, (b) does not infringe the intellectual property, privacy, publicity, or any other rights of any third party, (c) does not violate any law or regulation. SPONSOR’S RIGHTS TO ENTRIES: By submitting an Entry, you agree not to instigate, support, maintain, or authorize any action, claim, or lawsuit against the Sponsor on the grounds that any use of the Entry infringes any of the entrant’s rights as creator of the Entry, including, without limitation, copyrights, trademark rights, and moral rights. SELECTION OF WINNER: On or about the first day of the Month following a quarter’s end (Jan.1, April 1, July 1, Oct.1) , all Entries will be loaded into a random number generator of the Sponsor’s choice and a winner will be selected. The Sponsor will attempt to notify the winner within ten (10) days of selection. REQUIREMENTS OF A POTENTIAL WINNER: Due to limited room availability, we require that all contest winners respond within 72 hours of being chosen and notified. If winners do not respond within 72 hours, we reserve the right to sell the reserved room on a first come, first serve basis. Except where prohibited, a potential winner will be required to sign and return an affidavit of eligibility, a liability/publicity release. Documents must be signed, notarized, and returned to the Sponsor within 5 days of being notified. If a potential winner is a minor, his/her parent or legal guardian must sign the required documents on the entrant’s behalf. If a potential winner fails to sign and return the required documents within the required time period or is otherwise ineligible to receive the prize, an alternate entrant may be selected in his/her place according to the selection procedures set forth above. 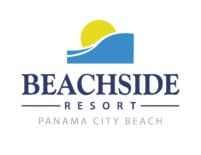 PRIZE: One (1) quarterly winner will receive one (1) two (2)-night stay at Beachside Resort in Panama City Beach. Black-out dates may apply.The prize does not include transfers and meals or travel expenses. Prizes are not transferable or refundable and must be accepted as awarded. No cash or other substitution may be made, except by the Sponsor, who reserves the right to substitute a prize (or component thereof) with another prize (or component thereof) of equal or greater value if the prize is not available for any reason as determined by the Sponsor in its sole discretion. The winner is responsible for any and all other costs and expenses not listed above. Prizes may be reported as income to a winner and the winner will be responsible for all taxes associated with the receipt of a prize. PRIVACY AND PUBLICITY: Except where prohibited, participation in the Contest constitutes an entrant’s consent to the Sponsor’s use of his/her name, likeness, voice, opinions, biographical information, and state of residence for promotional purposes in any media without further payment or consideration. GENERAL CONDITIONS: In the event that the operation, security, or administration of the Contest is impaired in any way for any reason, including, but not limited to fraud, virus, or other technical problem, the Sponsor may, in its sole discretion, either (a) suspend the Contest to address the impairment and then resume the Contest in a manner that best conforms to the spirit of these Official Rules or (b) award the prizes at random from among the eligible entries received up to the time of the impairment. The Sponsor reserves the right in its sole discretion to disqualify any individual it finds to be tampering with the entry process or the operation of the Contest or to be acting in violation of these Official Rules or in an unsportsmanlike or disruptive manner. Any attempt by any person to undermine the legitimate operation of the Contest may be a violation of criminal and civil law, and, should such an attempt be made, the Sponsor reserves the right to seek damages from any such person to the fullest extent permitted by law. Failure by the Sponsor to enforce any provision of these Official Rules shall not constitute a waiver of that provision. In the event of a dispute as to any online entry, the authorized account holder of the e-mail address used to enter will be deemed to be the participant. The “authorized account holder” is the natural person who is assigned to an e-mail address by an Internet access provider, online service provider, or other organization responsible for assigning email addresses for the domain associated with the submitted e-mail address. RELEASE AND LIMITATIONS OF LIABILITY: By participating in the Contest, entrants agree to release and hold harmless the Sponsor, and their respective officers, directors, employees, and agents (the “Released Parties”) from and against any claim or cause of action arising out of participation in the Contest or receipt or use of any prize, including, but not limited to: (a) any technical errors that may prevent an entrant from submitting an entry; (b) unauthorized human intervention in the Contest; (c) printing errors; (d) lost, late, postage-due, misdirected, or undeliverable mail; (e) errors in the administration of the Contest or the processing of entries; or (f) injury, death, or damage to persons or property which may be caused, directly or indirectly, in whole or in part, from entrant’s participation in the Contest or receipt of any prize. Entrant further agrees that in any cause of action, the Released Parties’ liability will be limited to the cost of entering, if any, and participating in the Contest, and in no event shall the Released Parties be liable for attorney’s fees. Entrant waives the right to claim any damages whatsoever, including, but not limited to, punitive, consequential, direct, or indirect damages. DISPUTES: Except where prohibited, entrant agrees that any and all disputes, claims and causes of action arising out of, or connected with, the Contest or any prize awarded shall be resolved individually, without resort to any form of class action, and exclusively by the appropriate court located in the State of Florida. All issues and questions concerning the construction, validity, interpretation and enforceability of these Official Rules, entrant’s rights and obligations, or the rights and obligations of the Sponsor in connection with the Contest, shall be governed by, and construed in accordance with, the laws of the State of Florida, without giving effect to any choice of law or conflict of law rules (whether of the State of Florida or any other jurisdiction), which would cause the application of the laws of any jurisdiction other than the State of Florida.